As you may or may not know, I am a member of the Scotch Malt Whisky Society (of America). And in case you’re not aware, the SMWSA does a series of tasting events called “The Single Malt & Scotch Whisky Extravaganza“. 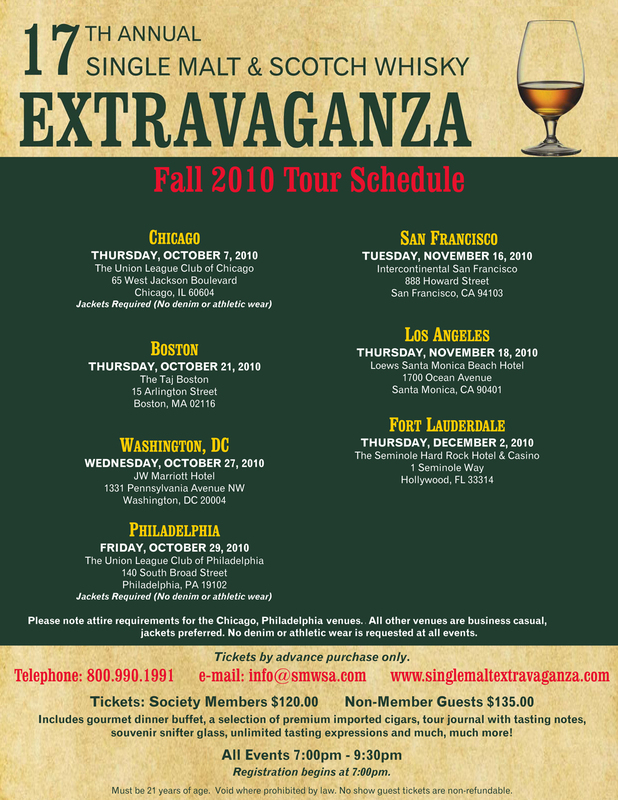 The “Extravaganza” is now in it’s 17th year. If you’ve never been to one of their events, you may want to change that, and soon! See below for a full listing of their fall events schedule. I always jump at a chance to meet my readers so, for those wanting to come out and meet yours truly, I will be at the Boston event. As a reminder, earlier this month I did an interview with Alan Shayne (President of the SMWSA and an all around great guy). To read that, click here.